A limited number of special tickets are available to benefit The Ellen Hermanson Foundation for this acclaimed production that is nearly sold out through September 2018! It’s back in New York City after 25 years! Join us on Wednesday, April 4, 2018 at 8:00 PM for My Fair Lady at the Vivian Beaumont Theater at Lincoln Center. 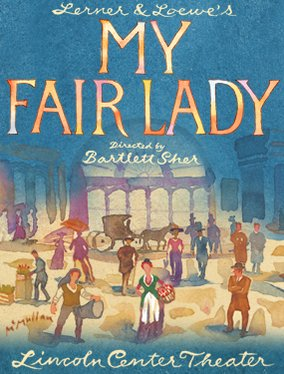 Directed by Tony winner Bartlett Sher, the stellar cast - led by Lauren Ambrose, Harry Hadden-Paton, Norbert Leo Butz and Diana Rigg - tells the story of Eliza Doolittle, a young Cockney flower seller, and Henry Higgins, a linguistics professor who is determined to transform her into his idea of a “proper lady.” But who is really being transformed?